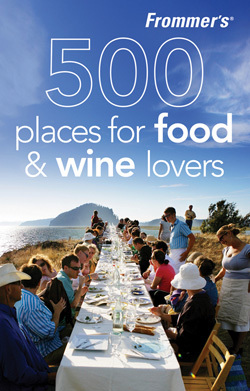 Frommer’s just came out with a new drool-worthy guide for the traveling foodie. From roadside nibbles, cooking school extravaganzas, to memorable meals from star chefs, they have recommendations for food lovers no matter what your budget is. My wishlist from the book includes a visit to the underground caverns at Royal Tokaji, Hungary, feasting on a lobster roll to go from Chauncey’s Creek Lobster Pier in Kittery, Maine, and taking a stroll down Chocolate Avenue in Oaxaca, Mexico. Interested food history? Check out Finding Betty Crocker by Susan Marks, it’s an astonishing inside look into the world of America’s favorite homemaker. At a time before the “celebrity chef”, Betty Crocker was a hero to millions during World War II. One of the most fascinating books out there about food is On Food and Cooking by Harold McGee. If you are a foodie who wants to sharpen your knowledge of the hows and whys of cookery or maybe you’re just curious about food science, get this must-have book for your kitchen reference. ooh – i have to get this book!